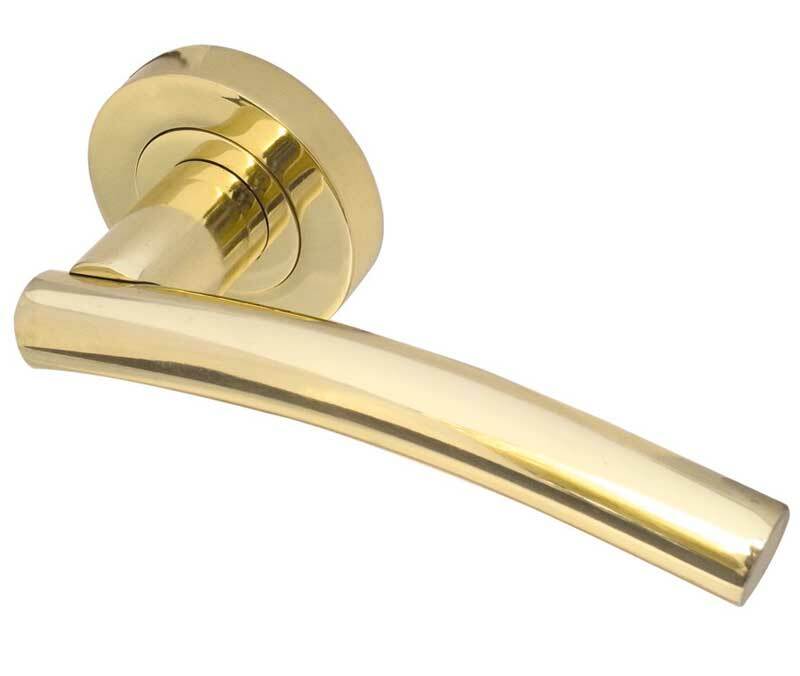 Curve Designer Lever Door Furniture on a Round-Rose, from Frelan Hardware and Jedo Brand Hardware. 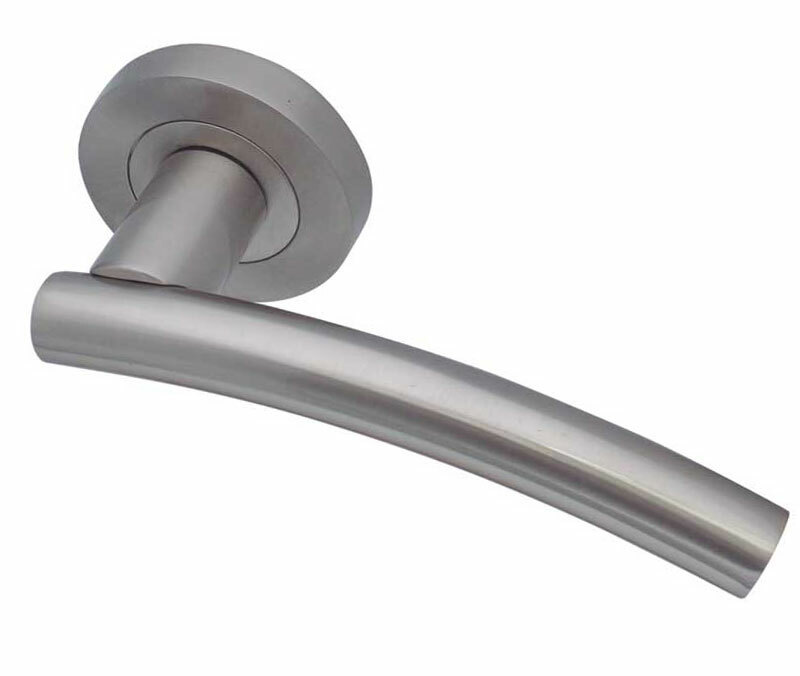 Frelan Curve Door Handle metal finishes are normally a plated or anodised effect, on a base metal. 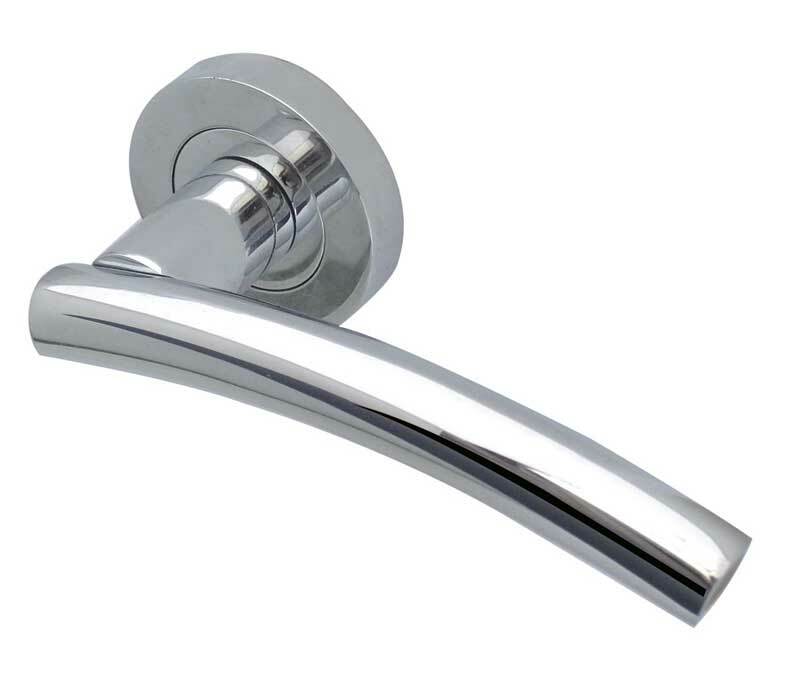 Frelan Curve Door Handles are sold for internal use, but have a clear lacquer finish, to help reduce tarnishing. E. & O.E. 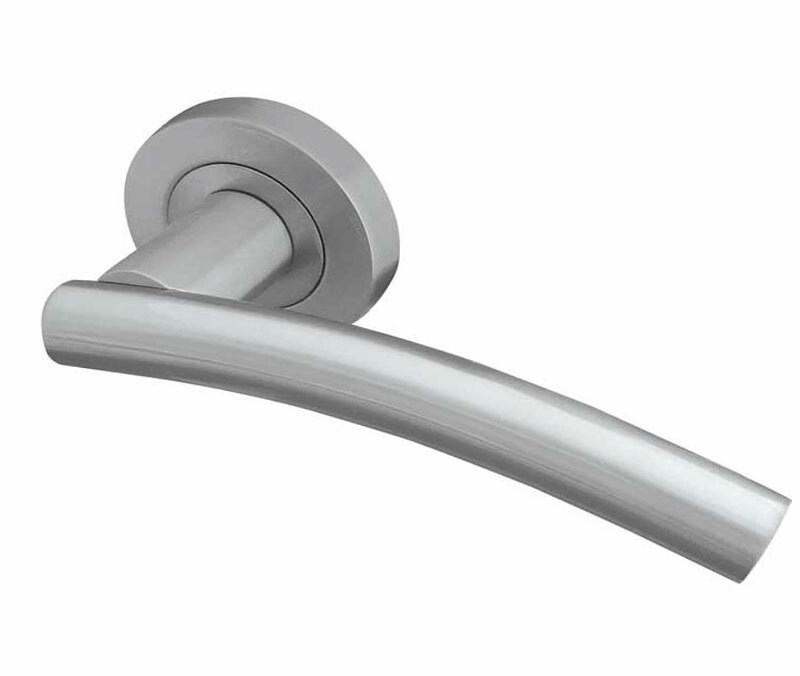 see T&C - We do try to keep prices and specifi­cations of Frelan Curve Hardware correct, but mistakes can be made!